Climate change and business as usual could threaten 1 in 6 plant and animal species with extinction. Last month a study published in Science by Mark Urban found an accelerating extinction risk due to climate change. Dr. Urban’s study found that as the Earth’s temperatures increase, species will disappear at an accelerating rate. According to the U.S. Fish and Wildlife Service, as of May 2015, in the United States there are a total of 488 animal species and 728 plant species listed as endangered and 202 animal species and 158 plant species listed as threatened. The United States is home to a diverse array of wildlife that are so important to our culture and well-being. But many of these species will face a bleak future if we do not address climate change. A juvenile blue crab. Photo by ChesapeakeBayEO, Flickr Creative Commons. The Chesapeake Bay’s iconic blue crabs, although not endangered, will likely be affected by warming water temperatures. As water warms, the less dissolved oxygen it can hold. When coupled with the Bay’s pollution problems, this is particularly stressful to crabs. Warmer winter temperatures also mean changes in the crab’s behavior and movement. More CO2 in the air is causing ocean acidification and impacting the way crabs produce their shells resulting in higher death rates. As temperatures continue to rise some species are at risk of running out of suitable habitat. The endangered Delmarva Peninsula fox squirrel, the largest variety of tree squirrel in North America, is at high risk from sea-level rise. Most of its current habitat lies along the coastline of the Chesapeake Bay, an area where sea level has been rising faster than elsewhere along the Atlantic coast. The squirrel relies on mature pine and hardwood forests to provide the food and habitat it needs. Past logging, development and farming have limited the habitat of the species and large losses of habitat could have a serious impact on it. Rising sea levels threaten to inundate estuaries and coastal wetlands. Extreme weather such as super-storms and more severe droughts also impact wildlife. 2014 was the hottest year on record, and 13 of the 15 hottest years on record have occurred since 2000. Ducks, geese and other waterfowl across the country are changing behaviors and migration patterns. We know that climate change is a major threat to wildlife. We need to prepare and cope with current and future climate impacts. We also need to take action to head off the worst impacts of climate change so that fewer species become endangered. The National Wildlife Federation and members of the Maryland Climate Coalition are working to do this by increasing the amount of clean, renewable energy Maryland uses and renewing Maryland’s Greenhouse Gas Reduction Plan. Follow the Maryland Climate Coalition on Facebook and Twitter to find out what you can do to help. 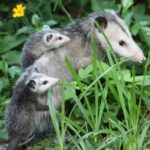 On May 15th the National Wildlife Federation will celebrate Endangered Species Day, which highlights the importance of protecting endangered species. Help NWF celebrate Endangered Species Day by texting “WILD” to 25383 to donate $10 to protect wildlife.